Research conducted by leading business and financial adviser Grant Thornton UK LLP has found that the UK’s top retail banks are responding positively to the challenge of delivering improved customer experiences. In turn, the research suggests, consumers’ loyalty towards established high street pillar banks is also improving. The research, based on the views of over 4,000 UK consumers, assessed respondent’s experiences with and loyalty towards 21 retail financial institutions: high street pillar banks, evolving challenger banks and established building societies. Over a 12 month period, it finds that customers’ perceptions of services delivered by the pillar banks, and their subsequent loyalty towards them, has largely increased. Five out of the eight pillar banks in the study improved their ranking, with the remainder remaining largely unchanged. Comparatively, of the 10 challenger banks, only four saw improvement in customers’ perceptions and loyalty, with another two actually showing a decline. Of the three building societies, only one was noted as having improved in their customers’ eyes, with perceptions of the other two remaining unchanged. Ewen Fleming, partner in Grant Thornton’s financial services group, commented: “The 2008 financial crisis proved a turning point in consumers’ attitudes towards financial services organisations around the globe. In response, the sector has had to ‘up its game’ in terms of the quality of services it provides and highlight the value these institutions offer consumers beyond the transactional utility of banking services. The current market conditions, coupled with a changing regulatory agenda which places consumers front and centre in decision-making, is forcing institutions to really understand their customers and correct the gaps in service quality in order to remain competitive – something we’re now starting to see the tangible impact of. “The challenger banks, though still in their infancy when compared with more established peers in the sector, are equally eager to gain market share. As the established institutions continue to improve their offerings and rebuild their reputations in their customer’s eyes, the challengers can’t just rest on their laurels and not expect the gap between them to widen further. 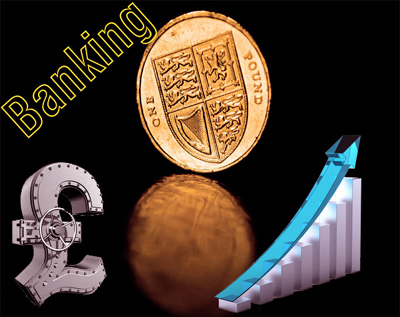 Although they still have some way to go in reshaping the dynamics of the UK banking sector, their continued investment in customer services is certainly something the larger players will be keeping a close eye on.